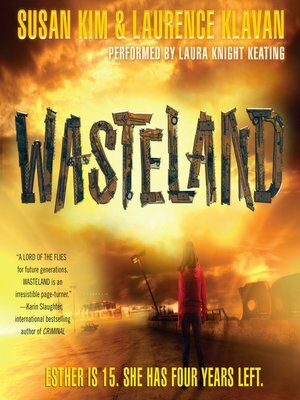 Fans of the Divergent and Hunger Games series will love Wasteland, the first installment of the Wasteland trilogy, by five-time Emmy Award–nominated writer Susan Kim and Edgar Award–winning Laurence Klavan. With heart-pounding thrills, this harrowing survival story is alive with action and intrigue. Welcome to the Wasteland, a post-apocalyptic U.S. where no one lives past the age of 19. But an early death isn't the only doom waiting around the corner: Everyone is forced to live under the looming threat of rampant disease and brutal attacks by the variants—hermaphroditic outcasts that live on the outskirts of Prin. Esther doesn't care that her best friend, a variant, is considered "the enemy." She doesn't care that Levi, who controls the Source, is the real enemy and might send his Taser boys after her if she makes one wrong move. Then she meets Caleb, and just possibly, she might have a chance at salvation.